Synthetic Thatch Roofing offers all the characteristics & beauty of a traditional thatch roof, with a much longer lifespan. Learn more today. The craft of building a roof with dry vegetation such as straw, reed or rushes. Used in both tropical and temperate climates. As one of the nation’s leading thatch roofing contractors, Huber & Associates has provided thatch roofing restoration for more than 40 years. Our clients include historic homes, private estates and commercial properties throughout the Southeast, as well as in the rest of the U.S. and overseas. We use natural reeds and grasses, as well as synthetic products that provide all the advantages of natural thatch but last longer and require less maintenance. Huber & Associates is internationally known as an expert historical and restoration roofing contractor that possesses experience with many roofing styles, formats and materials. We provide solutions to any roofing project. Read more about our expertise or contact us to learn more. Thatching is a highly affordable roofing technique that, when done well, results in a weather-resistant, low-maintenance and, above all, beautiful roof. Around the world, there are various thatching methods that are passed down from generation to generation and vary per region. At its most basic, however, thatching involves making bunches of dried reed, straw, rushes, grass or some other type of vegetation; lining them up tightly on a pre-made framework on a roof; and then adding layer upon layer until the entire roof is covered. It’s important that the roof has enough of a slant so that the vegetation can lead the water from any precipitation off the roof to protect the inner roof. And because the thatching materials are densely packed together, they trap air between them and function as insulation. This makes thatch roofing a widespread roofing material in both temperate and tropical climates. The materials used for thatching vary widely and are usually defined by local vegetation. In Europe, traditional materials include reed and the less popular straw. In Hawaii, lauhala and pili grass are used. Bali’s thatched roofs are usually made of alang-alang or ijuk, while sugar cane is a commonly used material in Kenya. 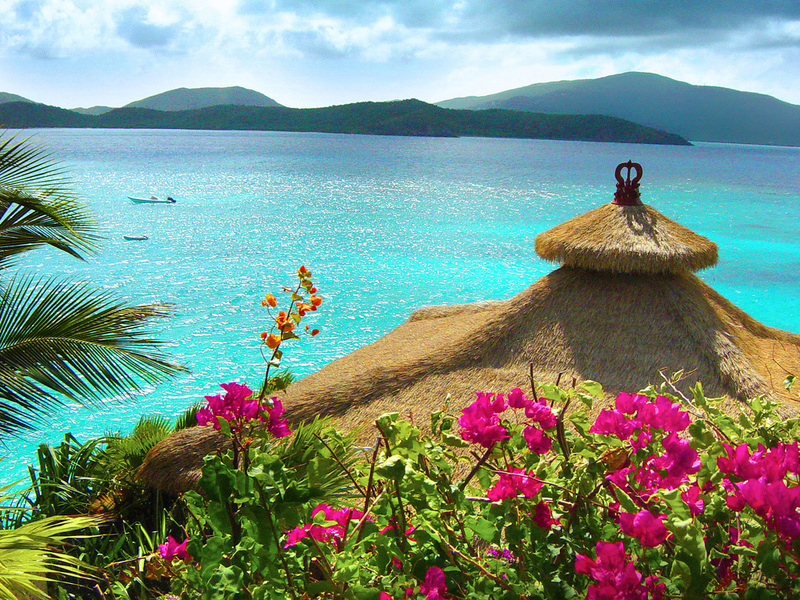 In Dominica and Fiji, palm leaves are the most prevalent thatching materials. More recently, high-quality synthetic thatch — artificial thatch — has started to become more popular in developed countries due to its longevity and durability. In general, historians believe that thatch has been used as a roofing material in many regions around the world for literally thousands of years. For example, In Europe, thatching was used as far back as prehistoric times and has survived until the present day. It has also been commonly used throughout Central and South America for centuries. There is ample evidence that the Mayans, Incans and the Aztec used thatch as a roof covering for both homes and communal buildings. Thatch is also a traditional roofing material in many regions of Africa, as well as in Japan and Korea. In the U.K., no evidence survives of thatch roofs from the Paleolithic period, although experts believe homes during that era generally had roofs made of bulrushes, cattail, heather and, later still, from straw. The first true evidence of thatch roofs in the British Isles dates back to the early Middle Ages, around 700 A.D. Later, in the 13th century, thatch was not only used for regular homes, but also for churches, grand homes, castles and colleges. Nevertheless, due to the risk of fire, the use of thatch was forbidden in London after 1212. It’s interesting to note, however, that according to experts, there are still a couple of hundred roofs with thatch dating back to the early 14th century in the U.K. Because people added new layers, the old layers remained preserved — providing modern-day historians with more information about construction and agriculture in the 13th and 14th centuries. In North America, thatch was used by Native Americans such as the Powhatan Indians long before colonial times. In addition, early European settlers brought their own thatching techniques to the New World. However, without their customary materials, they had to adapt their techniques to the local vegetation. Today, thatch is still widely used around the world, especially by poor populations in developing countries. In contrast, in Europe and the U.S., thatched roofing is the choice of the more affluent, who like it for its aesthetics. Additionally, some homeowners purchase historic homes whose roofs are made of thatch. Finally, there’s a growing movement of young homeowners who prefer it over other roofing materials because it’s environmentally responsible. The reconstructed Globe theater in London, the U.K.: While nobody knows exactly what the Globe theater looked like in Shakespeare’s day, historians, archeologists and architects worked hard to create a functional modern-day version. One thing is for certain, however: The original Globe’s roof was made from water reed thatch — and so is the new one. This magnificent building and tribute to the great playwright was opened by Queen Elizabeth in June 1997. Anne Hathaway’s cottage, Stratford-upon-Avon: With its white door, sand-colored brick, leaded glass windows and high thatched roof that reaches down to the rose bushes and fox gloves in the garden, the cottage is the perfect example of an idyllic English countryside hideaway. The Meru towers of the Besakih Temple in Bali: The spectacular Meru towers, each dedicated to a different deity, consist of multiple tiers. Each tier is covered in thatch made out of black ijuk fibers, lending it a striking appearance. The historic villages of Ogomachi in Japan’s Gokayama region and the villages of Suganuma and Ainokura in the Shirakawa-go: These three villages, which are designated as a World Heritage Site, are situated in a region that is notoriously difficult to access. As a result, they remained isolated for many centuries. During this time, a unique housing style evolved called “Gassho” houses: Homes with steeply-pitched roofs covered in thatch made from the local vegetation. 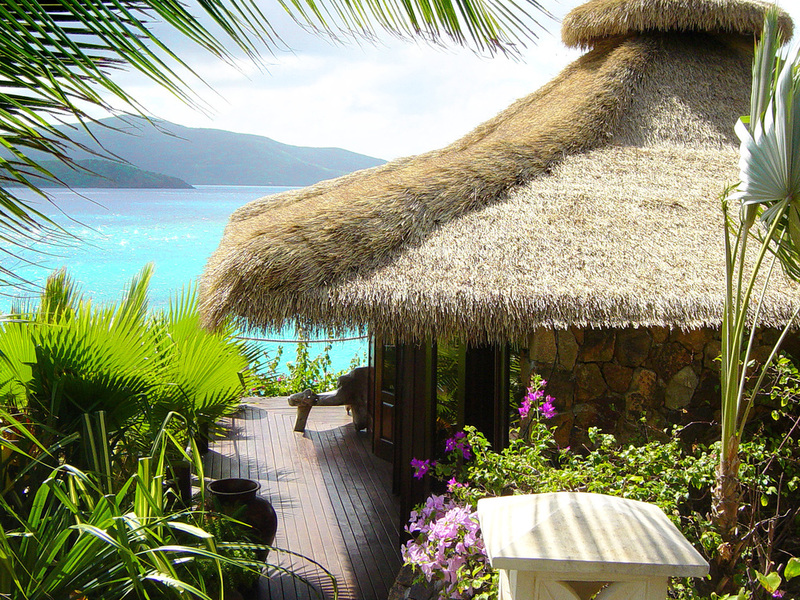 Thatch has been used for centuries all over the world on everything from Tiki huts in the South Pacific to whimsical cottages in the British Isles. Thatch roofs are crafted from vegetation such as straw, reeds, rushes, grasses and palm fronds. Because of this, they have a highly distinctive look that many people prize for its natural, organic qualities. Depending on the type of thatch used, the finished product can be a foot thick, which adds to its soft and inviting appearance. Because it relies on a buildup of grasses or reeds for shedding water, thatching should be installed on a steeper roof slope than conventional materials. This adds to its highly unique aesthetic properties. Thatch roofing isn't for everyone, but those who prize its natural look and feel will find much to admire in the fine craftsmanship of a Huber & Associates build. We specialize in bringing to life the creative vision of our clients, utilizing quality materials and exceptional artistry to create designs that offer long-lasting quality and good looks you'll appreciate for years to come. Style: As noted above, both conventional and synthetic thatch roofs have a look and feel that’s entirely their own. They are ideal for any tropical-themed restaurant, hotel or for a cozy cottage that’s a world removed from modern design trends. Durability: Thatch has persisted as a roofing material for thousands of years in part because of its strength. Though natural thatch roofs do require periodic attention to prevent rot, a well-maintained thatch roof can last up to 20 years. Alternately, choose a synthetic thatch roof for a more convenient alternative. Insulation: Grasses and reeds are some of the best natural insulators there are. As a result, in certain climates, a thatch roof can be installed on a home without additional insulating materials, keeping it warm during the winter and cool during the summer. Sustainability: Thatch roofing is one of the most eco-friendly roofing types around. We make our thatch roofs from fast-growing natural materials that are easy to harvest and biodegrade when they reach the end of their service life. Unlike other products, thatch roofs contain no VOCs or other synthetic compounds that can affect indoor air quality or cause other environmental issues. Despite the above benefits, thatch roofs do have their drawbacks. Like wood and other natural products, they require somewhat more maintenance than plastic or metal roofing. Additionally, they present some design limitations — retrofitting an older home with a thatch product may be impossible without making significant structural changes to the pitch of the roof. Looking for the distinctive thatch aesthetic without the added hassle? Synthetic thatch roofs are a great alternative to a natural product that offers the best of both worlds. Huber & Associates is highly experienced in synthetic thatch roof construction. We work with several high-quality fiber products that last longer, require less maintenance and are faster and easier to install than natural thatch. To learn more about the benefits of synthetic thatch, contact Huber & Associates. Of course, if you prefer a natural product, we would be happy to source several options for you. Thatch re-roofing: Whether you want to replace natural thatch with a synthetic product or change up the look of your property by replacing an existing tile or asphalt roof, we can help. Our team offers turnkey support for any project, from design and material sourcing to installation and ongoing maintenance. Thatch roof repairs: Natural thatch roofs will occasionally require repairs, whether it's to replace a section that has been damaged by a storm or to prevent mold and mildew from compromising the underlying structure. Our team works quickly and efficiently to minimize disruption to your property — an important consideration on resorts and other tourist centers where providing a relaxing experience for your guests is paramount. Thatch roof restoration: When repairs are not enough, but you want to preserve the look of a natural thatch roof, Huber & Associates can provide more comprehensive restoration services. We specialize in historic restorations — our team is trained to do the research and meticulous work necessary to maintain fidelity to the original design of your property. Replacing thatch roof with synthetic thatch: If you want to replace your natural thatch roof with synthetic thatch, you need a synthetic thatch roofing contractor who understands how to provide you with all the benefits of a synthetic product — without losing the charm of the natural materials. Our team of specialized thatch experts are happy to advise you on your best options for a synthetic thatch roof installation. Every job begins with a thorough consultation in which we go over your goals and recommend the best combination of services and products. We will also provide a detailed estimate outlining all costs involved in a job, as well as a timeline for completion. Whether you're looking for a natural or synthetic thatch roof, Huber & Associates can help. We have installed thatch roofs for clients all around the world. Though we routinely work on new constructions, our specialty is historical restoration and repairs. Let us bring an older property into the 21st century by replacing a natural thatch roof with a synthetic alternative or by repairing areas that have become damaged by time. Give us a call today - (828) 275-7678 - or submit the form below to learn more about thatch roofing restoration opportunities. Huber & Associates provides historical restoration and preservation to roofs all over the world.